April 17, 2017 (Lincolnshire, IL) – Klein Tools today announced new results from its annual “State of the Industry” survey, with input from more than 600 union and non-union electricians. While the shortage of skilled electricians continues to be an area of concern, survey results revealed that seasoned electricians are volunteering their time to mentor, educate and train young electricians to preserve industry knowledge. 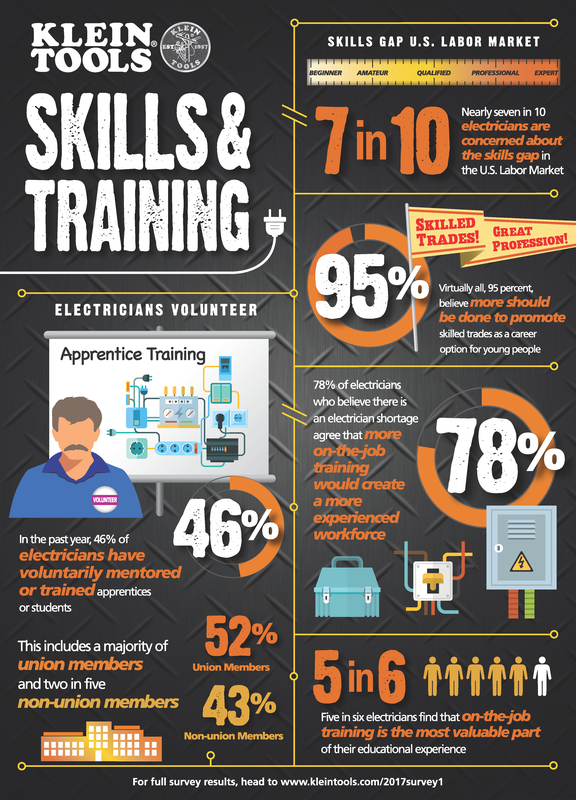 Most electricians also believe that on-the-job training is critical to creating a more experienced workforce. Non-union electricians are significanly more likely to volunteer on their own with people they know. This year’s survey also found 78 percent of electricians who believe there is an electrician shortage agree that more on-the-job training would create a more experienced workfoce. In fact, five in six electricians credit on-the-job training as the most valuable part of their educational experience. “We recently pledged to continue our partnership with the International Brotherhood of Electrical Workers (IBEW), the National Electrical Contractors Association (NECA) and The Electrical Training Alliance to promote comprehensive training. We increased our original investment to $2 million over the next five years to be able to prvide more tools and education to apprentices in these programs,” Klein says. 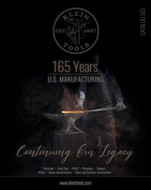 Since 1857, Klein Tools, a family-owned and operated company, has been deigning, developing and manufacturing premium-quality, professional-grade hand tools. The majority of Klein tools are manufactured in plants throughout the United States and are the number one choice among professional electricians and other tradespeople. For more information, visit www.kleintools.com.